Two weeks after major anti-war marches in Washington, DC, and Los Angeles and one week after a successful teach-in about Venezuela at Butler University, the Peace In Venezuela Coalition, which ANSWER Indiana is a participant in, called a rally on Monument Circle to demand an end to the ongoing US-backed coup attempt, sanctions, and threats of war against Venezuela. Last week, the Peace In Venezuela Coalition held a teach-in about the situation in Venezuela and the truth that has not been covered in the imperialist press, and forty people attended. 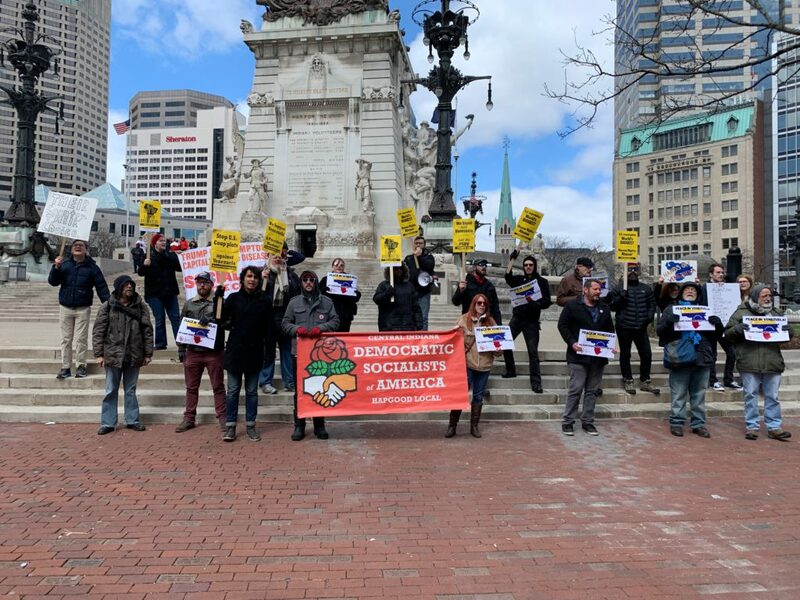 The next day, a Venezuelan expat in Indianapolis called a rally to ask the United States to invade Venezuela. It rained, and not a single person showed up! Chavez lives! The struggle continues!